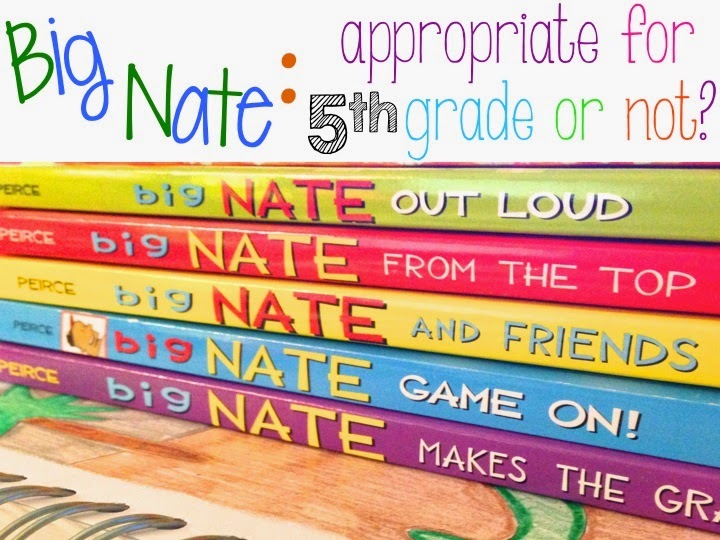 My kids LOVE Big Nate and I love any book that gets my "not so keen on reading kids" to read! I was shocked to find that these books are only a 2nd grade level on Accelerated Reader. I couldn't imagine a 2nd grader being able to read the entire book and successfully take a test on it. Plus, it's a graphic novel. Graphic novels were always so challenging for my 1st graders. And while I teach 5th grade, a lot of my kids are on a 3rd grade reading level. Still, my high readers love this series, so I'm torn. Is this series appropriate for 5th graders? What do you think? Click below to get these Big Nate books for your classroom. I think whatever gets them reading is appropriate. The more they read, the better they get. If they're trying to read something that's too hard, they miss everything. My feeling is that I want my kids to enjoy reading, so if the book grabs them - does it matter what level it's on? Many of my 5th graders read and love Big Nate. I'm glad to hear I'm not the only one with lots of 5th graders who read on a 3rd grade level. I'm an elementary librarian and I too have the mindset that whatever gets them reading is A OK in my book. Obviously if it's way too hard then no. I have a lot of 2nd graders that successfully read it that are good readers and my 3-5 love it as well. I can't keep them in the library. I agree, it's ok if they enjoy reading Big Nate it's fine! Sometimes we need to focus on the skill we are teaching and not make the reading part terribly difficult if not they miss the point on the skill or strategy you were trying to teach in the first place.